CIP, a licensed Oregon brokerage, represented the Seller in the sale. Joseph P. Kennedy, President of CIP, worked closely with the Seller and Buyer, as well as the partiesÂ’ other professionals, to negotiate a mutually acceptable sale. The final sale price is confidential. 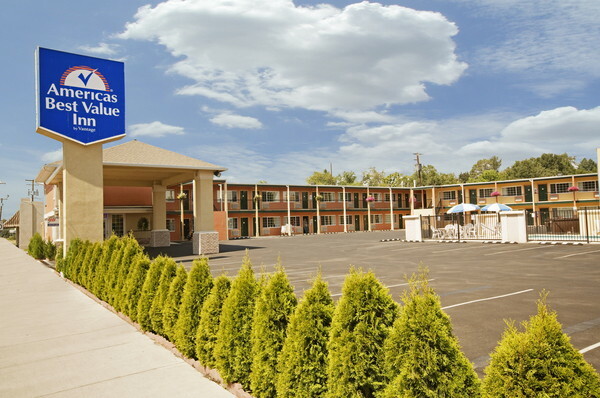 Crystal Investment Property, LLC, (“CIP”) a member of Hotel Brokers International, announced the successful sale of the America’s Best Value Inn in Pendleton, Oregon. CIP, a licensed Oregon brokerage, represented the Seller in the sale. Joseph P. Kennedy, President of CIP, worked closely with the Seller and Buyer, as well as the parties’ other professionals, to negotiate a mutually acceptable sale. The final sale price is confidential. America's Best Value Inn Pendleton is a beautiful two-story economy franchised hotel offering 47 spacious guest rooms with a variety of room styles in Pendleton's Downtown Core. The hotel features guest amenities such as outdoor seasonal pool, guest laundry, and conference rooms. The property featured excellent financials, strong ROI, and 2-bedroom Owner's Quarters. Crystal Investment Property, a premiere hospitality investment advisory and brokerage company located in the Pacific Northwest, maintains the most cutting-edge technological, online and social media presence as well as a full range of traditional and web-based marketing reaching local, regional, national and international clientele. The firm’s core services of hospitality asset acquisition/disposition are supported by innovative and creative solutions to maintain position as the most active and successful hotel broker in the region. Crystal Investment Property represents the full spectrum of hospitality real estate owners and their experience covers all hospitality assets types, including: full service hotels, boutique hotels, select service hotels, limited service hotels, as well as development projects, and leasehold transactions. Crystal Investment Property may be accessed online at www.crystalip.com. Founded in 1959, Hotel Brokers International members lead the industry in hotel real estate sales. HBI hotel brokerage specialists have successfully negotiated more than 10,000 hotel real estate transactions and consistently account for the largest share of all select-service and economy hotel sales in the United States. The organization’s database currently comprises more than 100 property listings and the HBI website attracts site visitors from around the world. Founder and host of the popular Hotel Investor’s Marketplace Webcast, HBI also developed the Certified Hotel Broker professional designation program. In addition to hospitality real estate advisory services, HBI offers affiliate membership to professionals in allied fields, including franchising, lending, appraisals and investment services. For more information about HBI’s hotel listings or to become a broker or affiliate member, visit www.hbihotels.com.